Our mission has always been to make innovative, quality, American products. In 2016, we added to that mission. After losing Becca Thorsen, our sister/daughter/ CFO, the Thorsen family gained a better understanding of what really is important in this world. Your faith, your family, and your community. Becca was a glowing light who was as brilliant as she was big hearted. Her life and her legacy are our daily reminders to be the light in this world, and we want you to know that through your patronage you play a part in that too. We made a promise to Becca and to ourselves to give a portion of every Burro sold to the organization A21 to battle human trafficking. 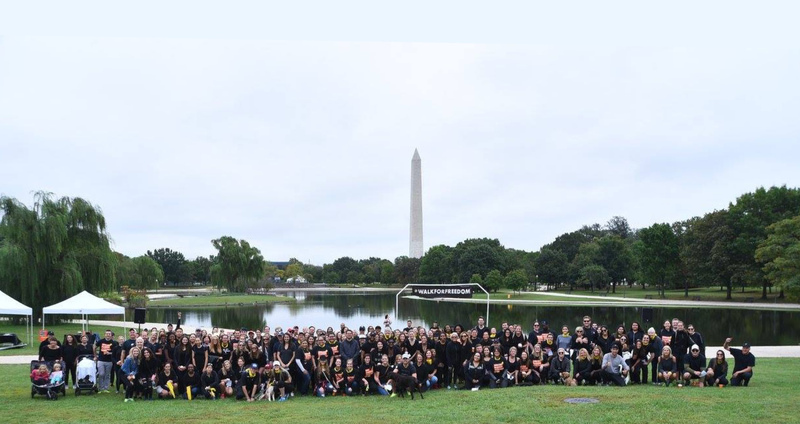 We not only donate, but we Walk For Freedom every year in Becca’s honor in our nation’s capital. Becca fought tirelessly to end human trafficking and to give from her heart, and we are honored to continue her legacy through The Little Burros. By purchasing from Little Burros, you are contributing to the cherished legacy of Becca as well as helping to provide justice for 40 million people who fall victim to human trafficking in the world. Human trafficking plagues every city and every nation, we are dedicated to see an end to that in the twenty-first century.